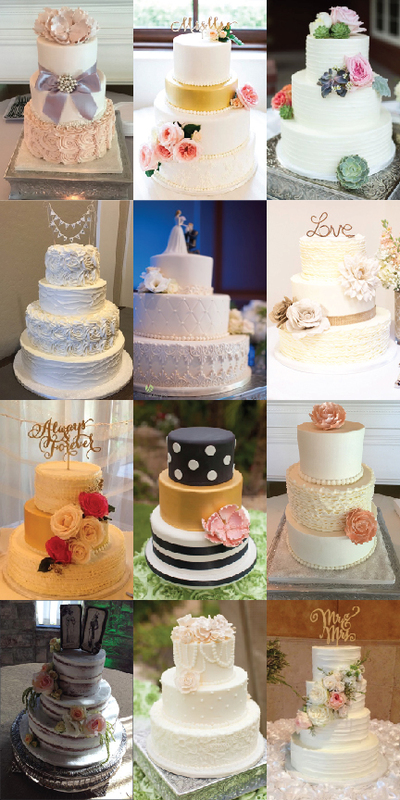 Piece of Cake Desserts has been specializing in creating amazing wedding cakes in the valley for over 13 years. Once you wedding cake is covered, you can stop into their Gilbert shop when you need a sugar fix and grab a cupcake or 6. Aside from being the only cake company in AZ to earn "The Knot Best of Weddings" the last 6 years in a row, they also won Arizona Bride Magazine’s “Best Of” award for 2012, 2013, and 2014 they recently became one of only 32 cake companies in the country inducted into "The Knot Best Of Weddings" Hall of Fame. 25 of the best venues in the valley trust Piece of Cake enough to include their wedding cakes into their all inclusive wedding cake packages. They have 4 decorators on staff which helps them match the perfect decorator to each and every cake. If you’ve ever read the FAQ on their website, you know that not only are they great at what they do, they have fun doing it too!